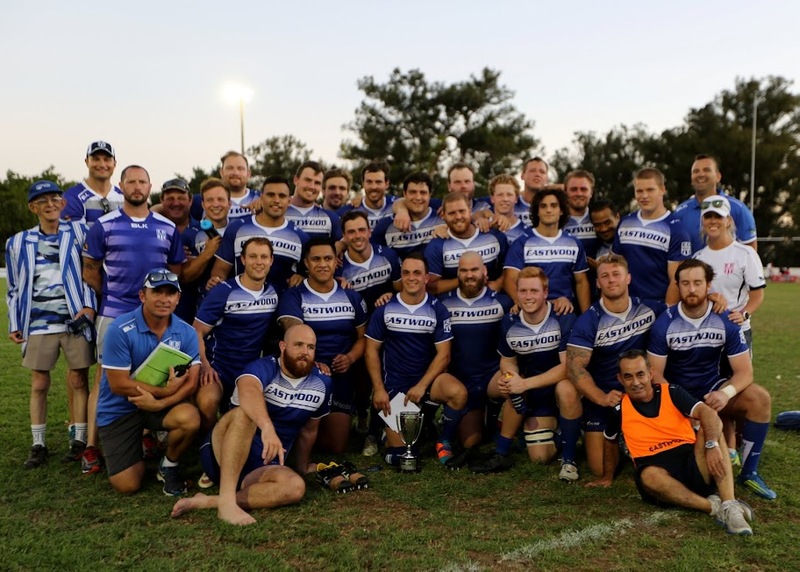 On a hot afternoon at Chipsy Wood Oval in Brisbane, Eastwood took on the QLD Premier Rugby champions from 2015 – Souths Brisbane – for the title of Australian Club Champions. After a torrid opening session in which Souths drew first blood, the Woods forwards started to rumble and fed it out wide and gradually we drew level then worked our way to the front, to lead 19-5 at half time. After the break both teams made substitutions and the game lost a bit of fluency, but not intensity. Full time saw Eastwood retain the title with a 34-17 win. Souths couldn’t have been a better host – there was a great crowd with plenty of old Eastwood faces there. Days like this make our game what it is.